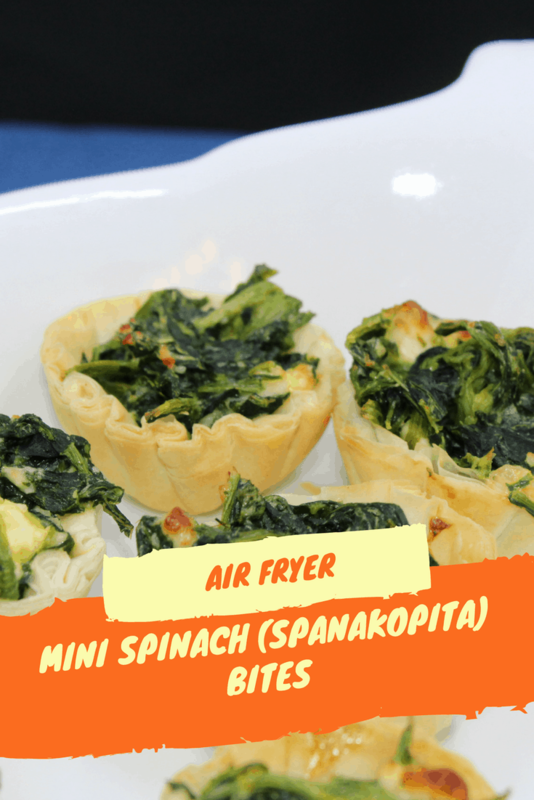 This is one of the easiest recipes that I have made in the air fryer. Which is great, because they look so complicated. I will be bringing these to a party, the next time I go. 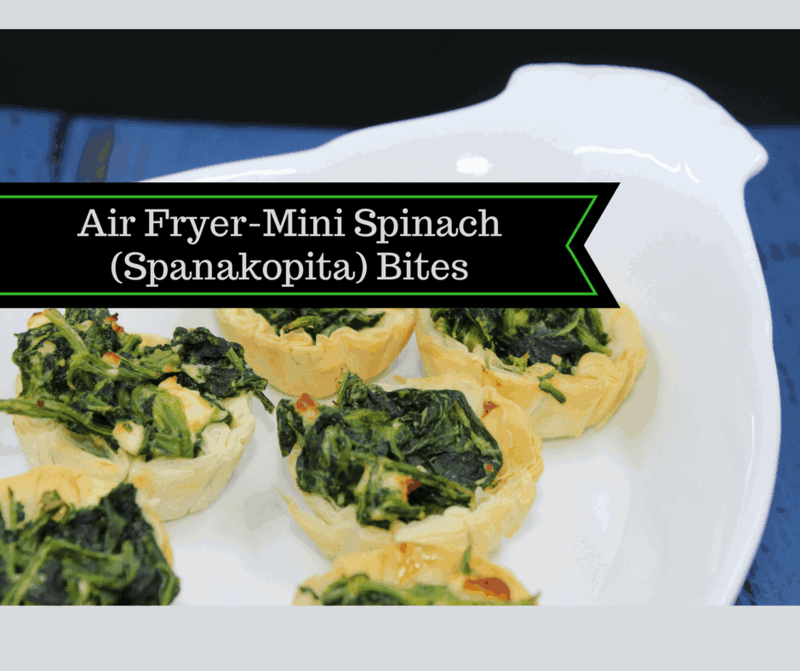 I will probably be making them for lunch a lot since my kids gobbled them up. 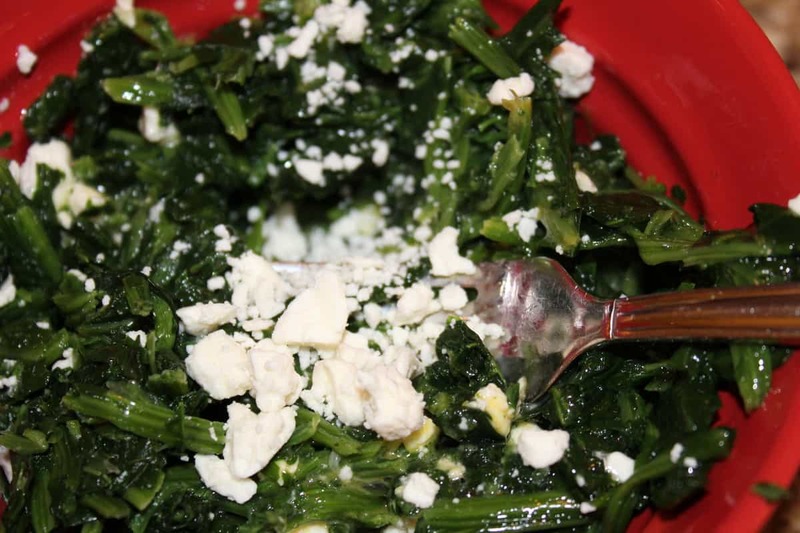 And, they have green leafy vegetables in them, so what mom wouldn’t serve them? 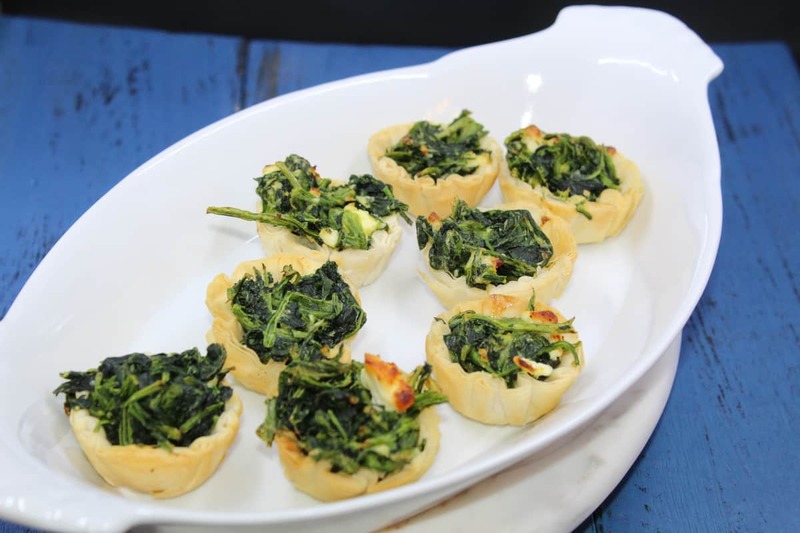 This was definitely a keeper for the go-to appetizer, the premade shells really quickened up the cooking time. 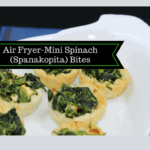 It has all of the traditional ingredients of a Spanakopita, spinach, feta, egg, but without the rolling of the phyllo dough and the work of it. 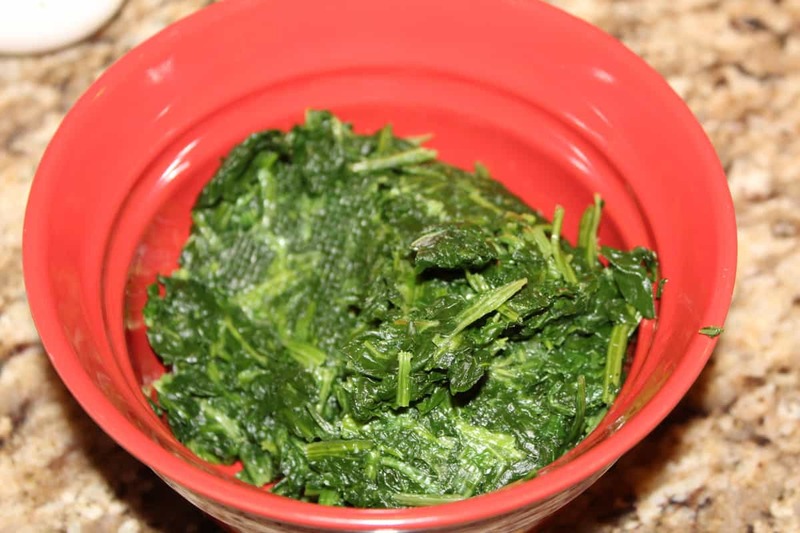 First, you want to drain as much water out of the spinach as you can. 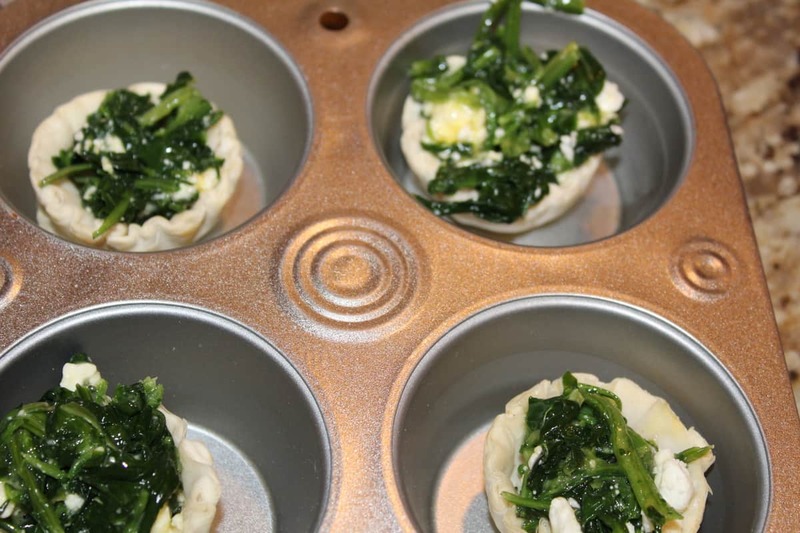 Fill the phyllo cup with the mixture. 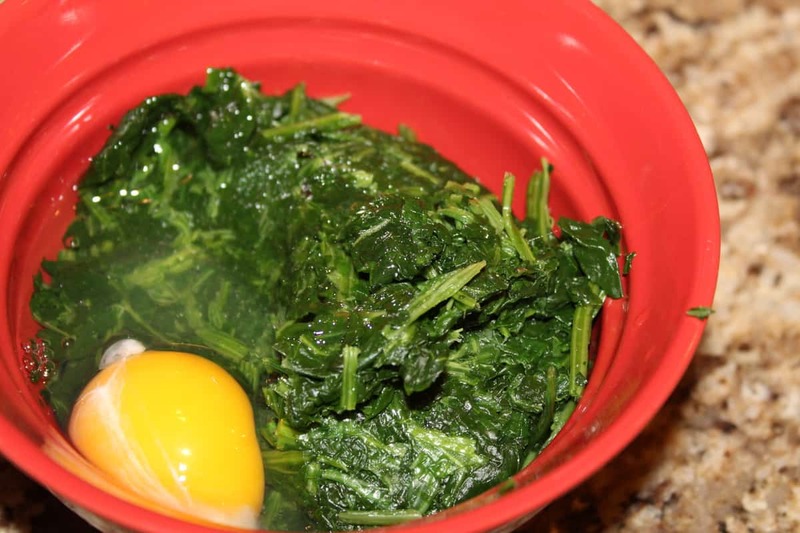 Then drain as much liquid out of the spinach as you can. 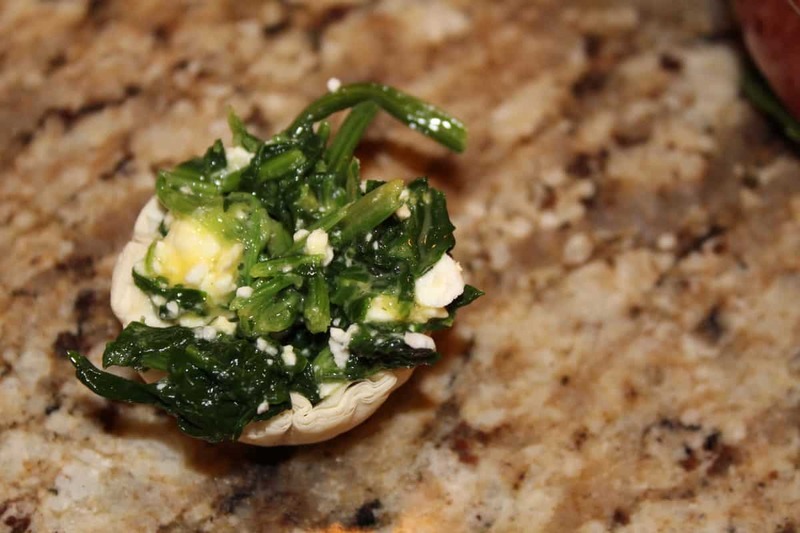 Mix the drained spinach with egg, feta, salt, and pepper. Set the temperature to 220 degrees F, and set the time for 4 minutes. Check to make sure they are hot and bubbling, if not add another 3 minutes. Note: Time will depend upon the wattage and how much you filled the cups.